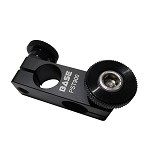 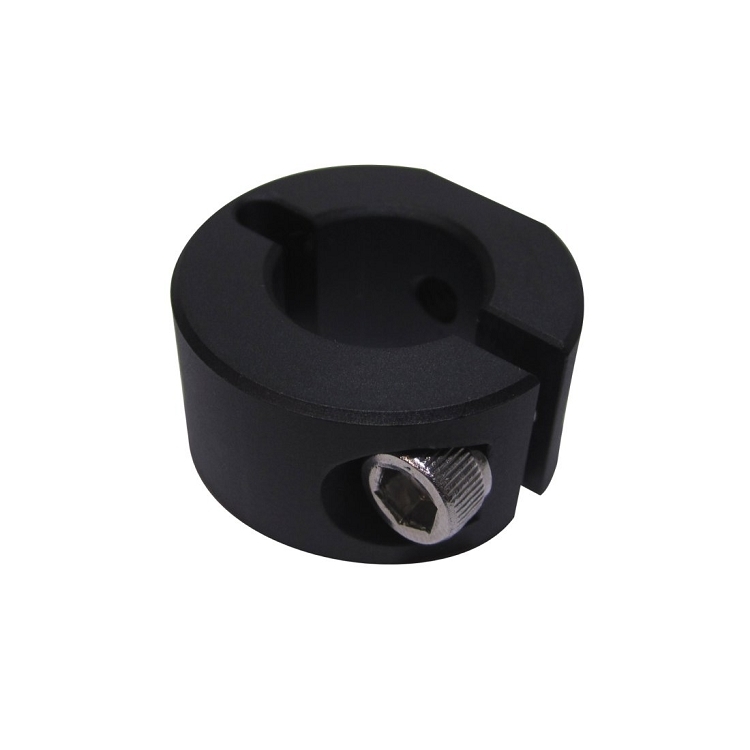 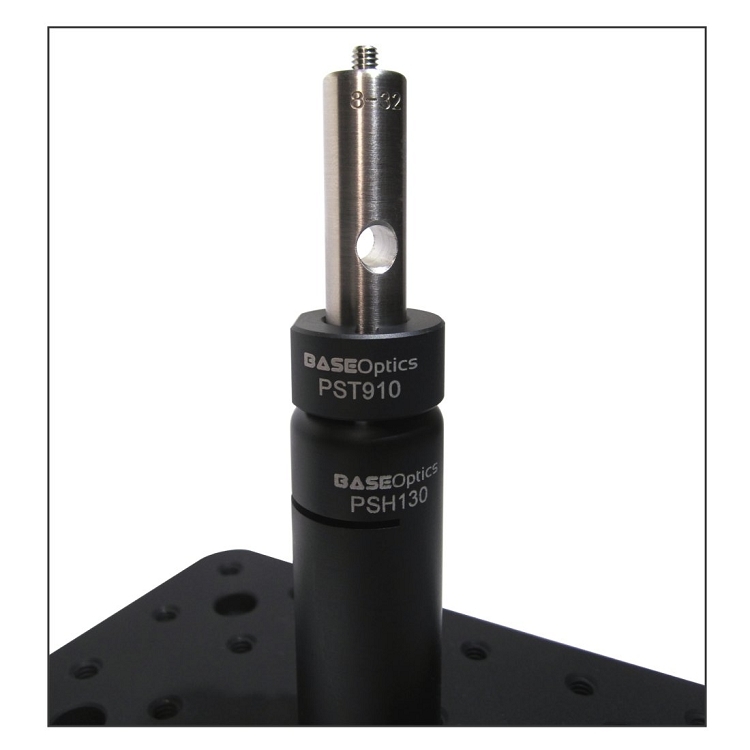 The sliding-stop mount for Ø1/2" posts is ideal for applications where a component is mounted off of a Ø1/2 in post. 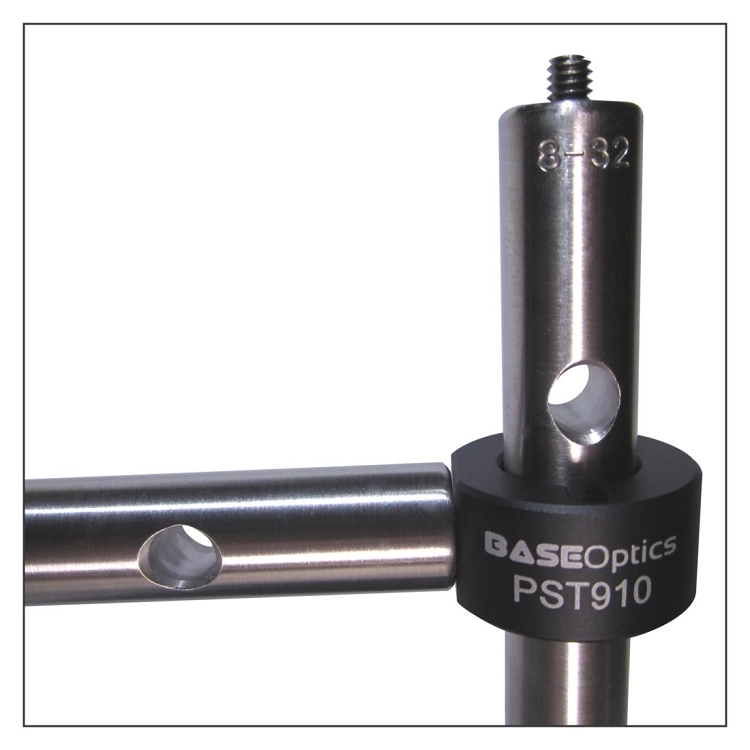 The flexure grip on the post provides a far more secure mounting surface than inferior screw against post solutions. 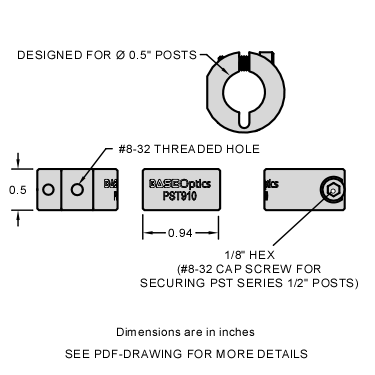 The PST910 also functions as a stop allowing an entire post assembly to be removed from a post holder and then put back in the same position.